Parquet flooring has been used for more than hundred years now as it is a very popular type of flooring used in houses, condominiums and also apartments. There are many reasons why one should remove the parquet floor tiles. 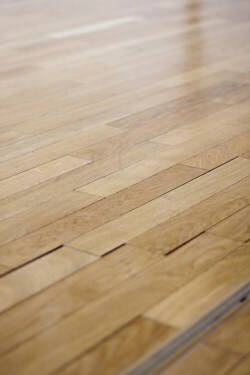 One of the most common reasons is when the parquet floor tiles have been damaged. If the entire tile is damaged, then it is better to make a row of large holes across the block against the grain with either a drill or a brace and bit. Drill completely through the damaged block, but do not drill the sub-floor under it. Split the block and pry up the pieces with a sharp chisel and a hammer. How to remove your parquet floor tiles? Removing your floor parquet with a different floor covering can be a challenging task, but it can be done easily if you have the right tools and know your way around. Below are some of the basic steps that need to be done in the process to help you remove parquet floor tiles. Firstly, remove all furnishings out of the room where you want to remove the parquet and cover the door with plastic in order to confine dust and dirt. Start to remove the parquet normally near the doorway by using the hammer or chisel. You need to hold the chisel at a low angle to the parquet and do a simple tap on the chisel with the hammer and this will pry and pop the parquet tiles up. Sometimes, the parquet will splinter and come off the sub floor in small pieces; therefore it is advisable that you wear safety glasses for your eye protection. You can also use the long handled scraper to help remove the parquet by sliding it carefully under the parquet; pry upward by pushing down the scraper\’s handle after it is already partially under the parquet. Remember to wear hand gloves in order to protect your hands from blisters. Once the loosening is finished and the parquet blocks have been removed, you will find bitumen residue or glue remaining on the floor. If your flooring underneath the parquet is made of concrete, you need to use a grinder in order to remove the bitumen remains. Finally, you need to sweep up and get rid off all the dirt and debris left on your floor. Also look out for any nails, screws or other projections found on the floor\’s surface. In order to apply a new carpet pad or new flooring adhesive, you must ensure that the floor is not wet and it is dry thoroughly. There you have it. By now, you must successfully remove your parquet floor tiles. This entry was posted in Floors, Home Improvement on September 18, 2010 by Mike.